Tonight! 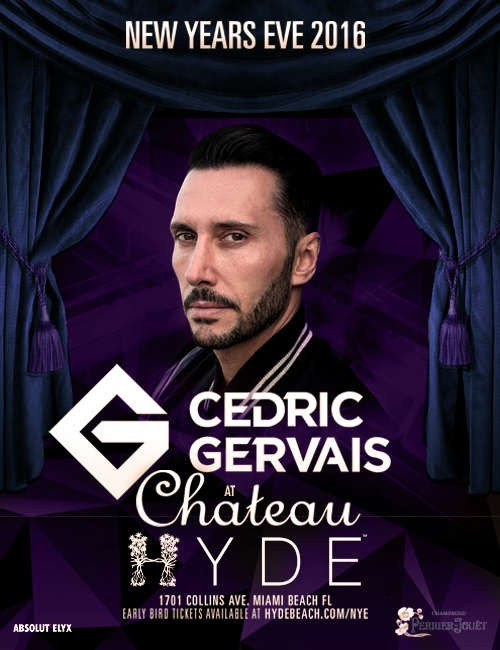 #NYE2016 Cedric Gervais at Chateau Hyde ~ Phresh Hott New! Ring in 2016 in decadence as Hyde Beach + Lounge transforms intoChateau Hyde with International DJ phenomenon Cedric Gervais! Prepare for an evening of dancing, debauchery, and of course...Champagne! Purchase your tickets now and enjoy a Premium Open bar from 9pm – Midnight in addition to passed appetizers from Katsuya restaurant between 9pm – 11pm. Tickets are going fast so make sure to get yours while you can, this an event that you do NOT want to miss!